Earlier this month my mother and younger sister attended Round Top….without me. Sadly, I just couldn’t make it, so while they were there partaking in the antique and vintage awesomeness while slurping delicious frozen cappuccinos (who knew so much deliciousness could come from a temporary beverage stand in the middle of a field? ), I roamed around my house and reflected on all the reasons I love Round Top. During this moment of reflection two things occurred to me. One, since I’ve been married (our 10 year anniversary is tomorrow), Round Top has slowly but surely (and affordably), allowed me to make our house a home. Two, I forgot to show you what I purchased from Round Top last October. So, today I thought I’d finally show you part of my Round Top collection. Amazingly, these are the items located only on the first floor of my home. The 2nd floor could probably be an entirely different post. Let’s start with the items I purchased last October. First, I typically go to Round Top on a mission to find at least one item. 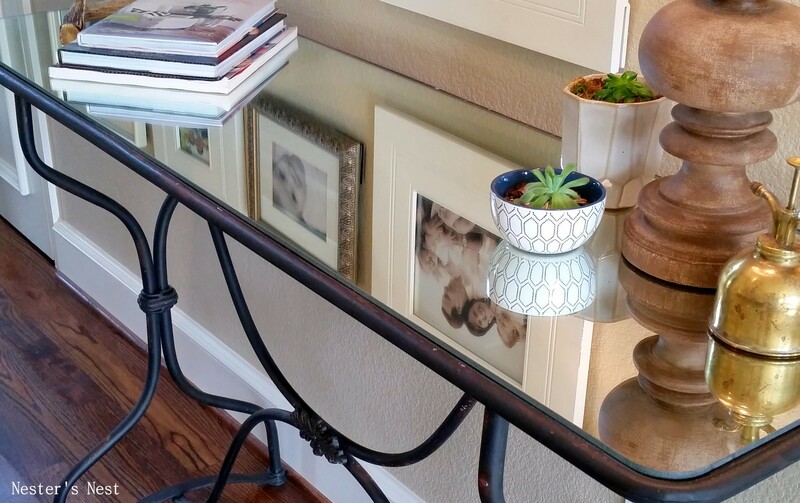 Last October’s mission was to find a console table. Originally, I envisioned a wood table with simple, clean lines. 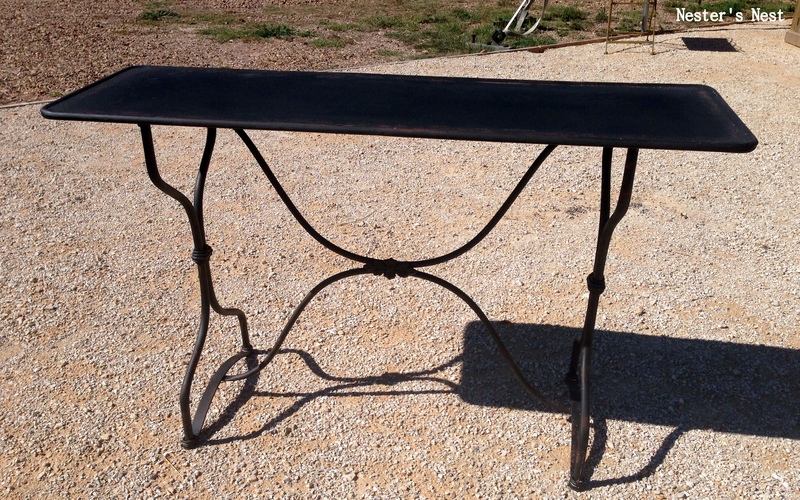 I came home with the complete opposite….a french-looking black iron table with scrolly legs. Go figure. When I got it home, the black was a little too harsh but my very smart friend suggested I have a mirror cut for the top. Brilliant!! My other purchase was unexpected and the hit of the trip. 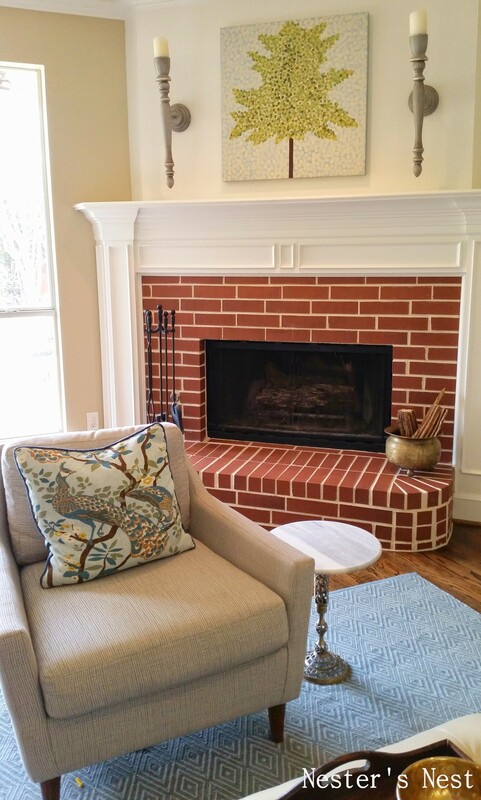 I think I have mentioned before that I have a love/hate relationship with my fireplace. 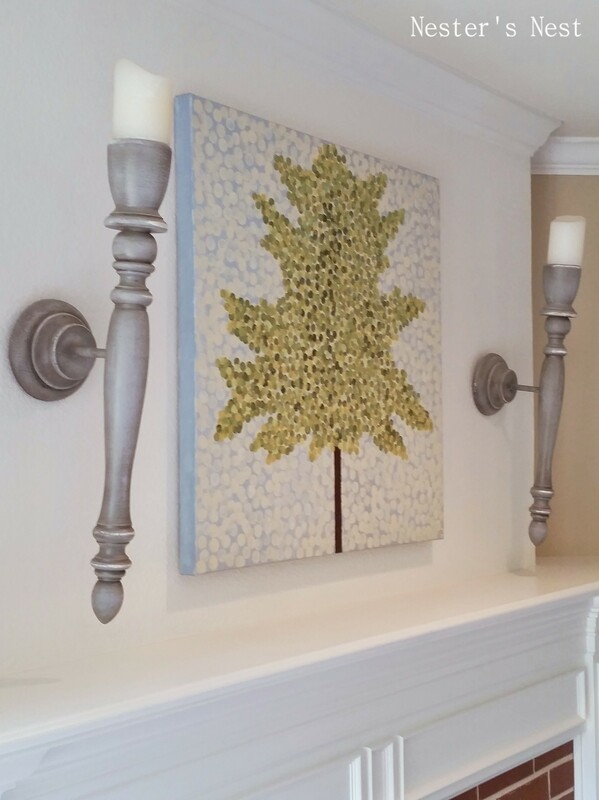 I won’t go into the details as to why it drives me nuts, but figuring out the proper styling has been part of the problem….until I found these custom made sconces. 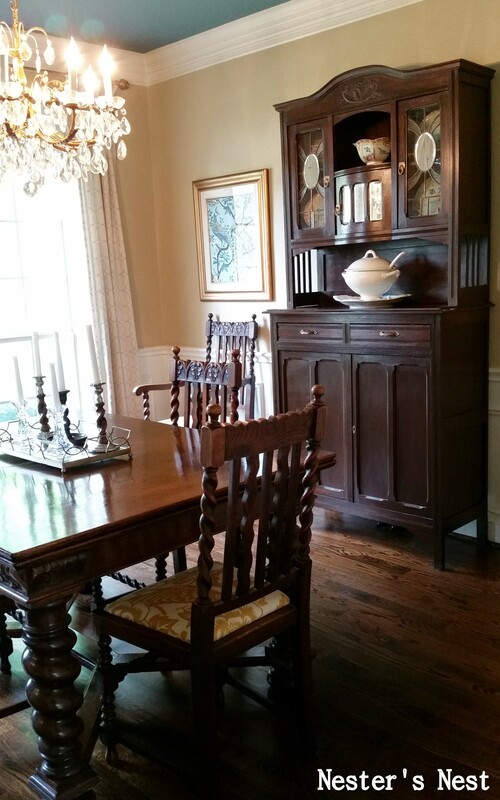 Moving on to items I’ve purchased through the years, my favorite pieces are my dining hutch and a kitchen cabinet. 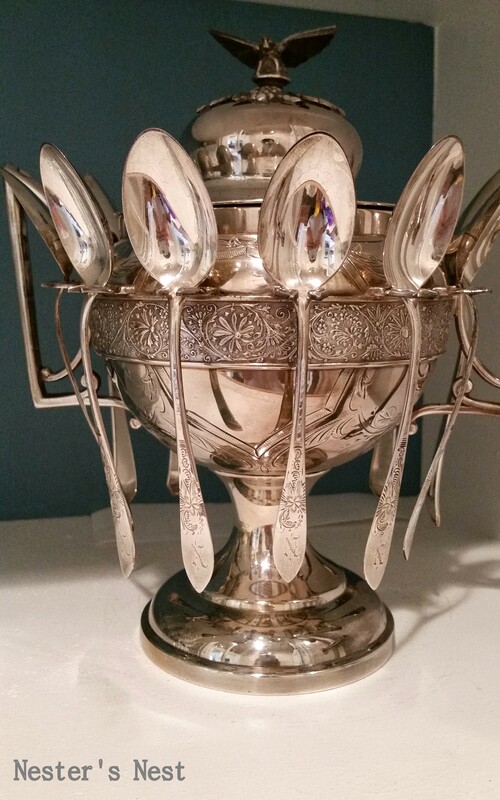 I bought them for our first house when my husband and I were newlyweds. 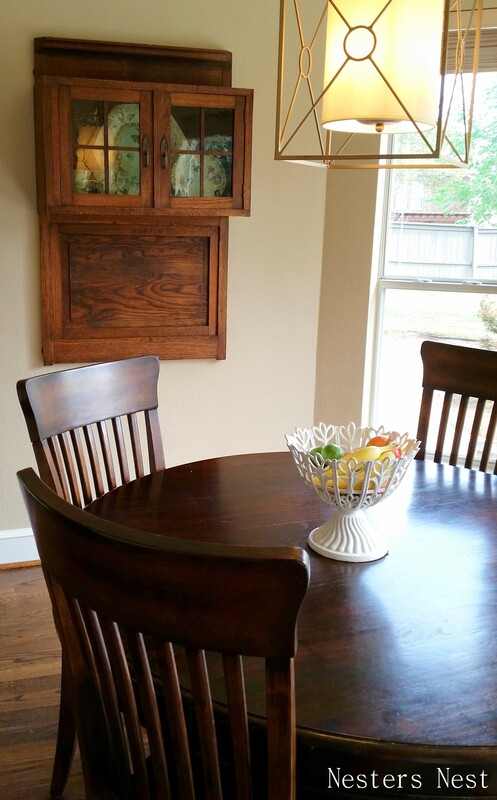 You can read about my dining hutch refinishing project here. Never again. I mean NEVER, but it was definitely worth the sweat and tears. Note: My white tureen sitting on the hutch is also a Round Top find…compliments of my Mother. 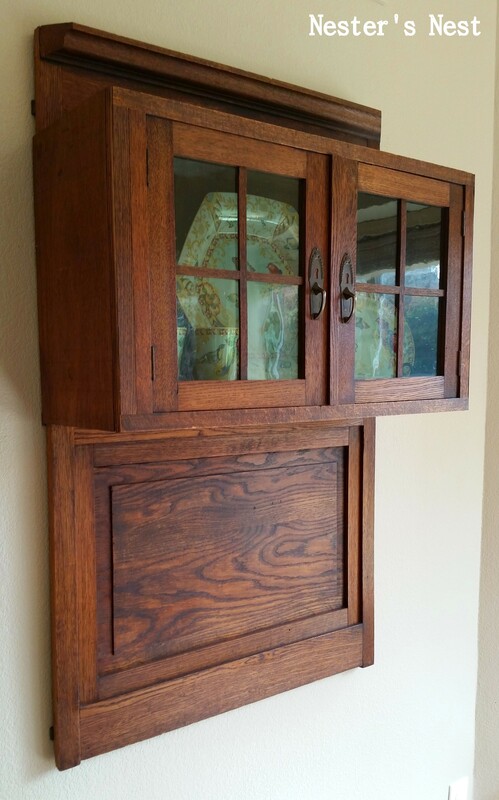 I’m not sure what this cabinet used to be a part of, but I love it. Even my iron fruit bowl came from Round Top. 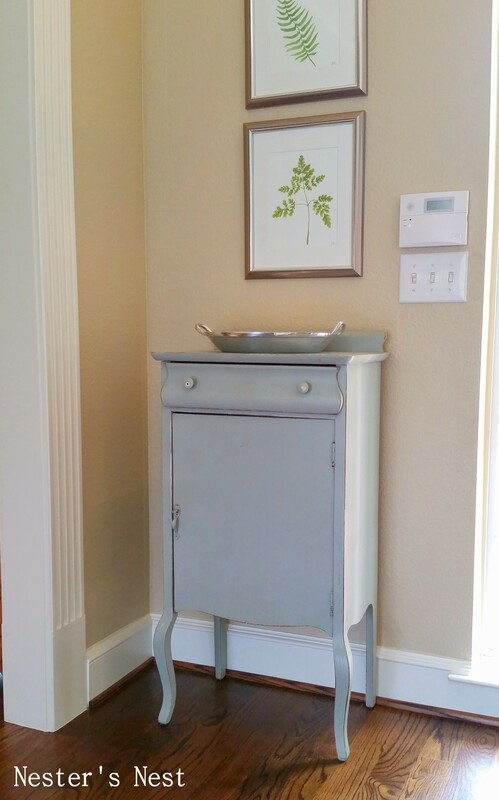 If you ever need a small, but taller piece of furniture with storage for your entry, get an antique music sheet holder. They are perfect and such a fun conversation piece. 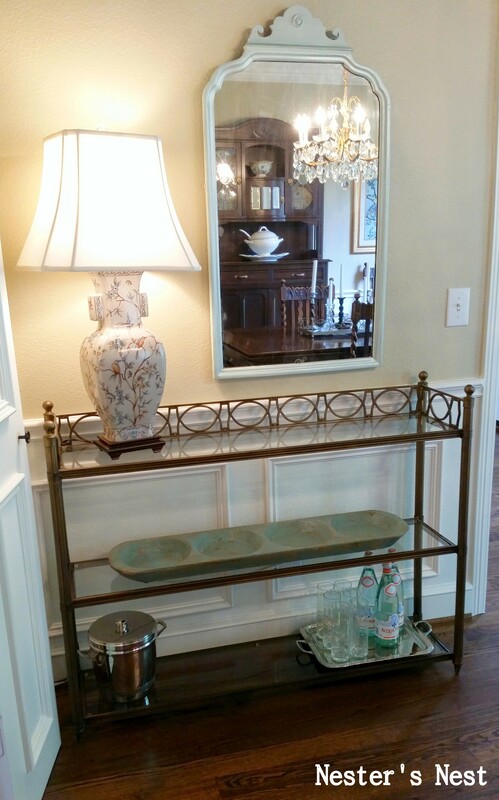 For my living room I found the perfect antique sideboard to be used as a media cabinet. 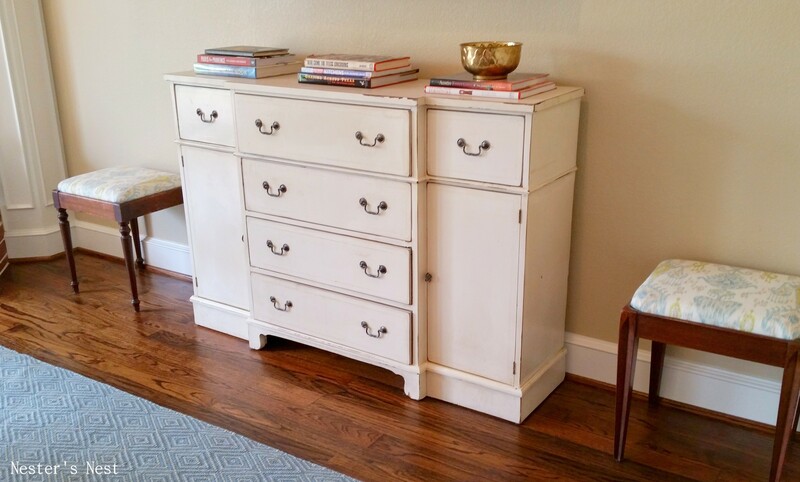 The top middle drawer is on hinges and folds down so the media components can easily be hidden if company arrives. I still want to repaint it, but can’t seem to decide which color (I’m open to suggestions). I also love my vintage sewing benches. One came from Round Top and the other was given to me by a neighbor. Finally, I love all the accessories one can find at Round Top. I’m not even exactly sure what this is. 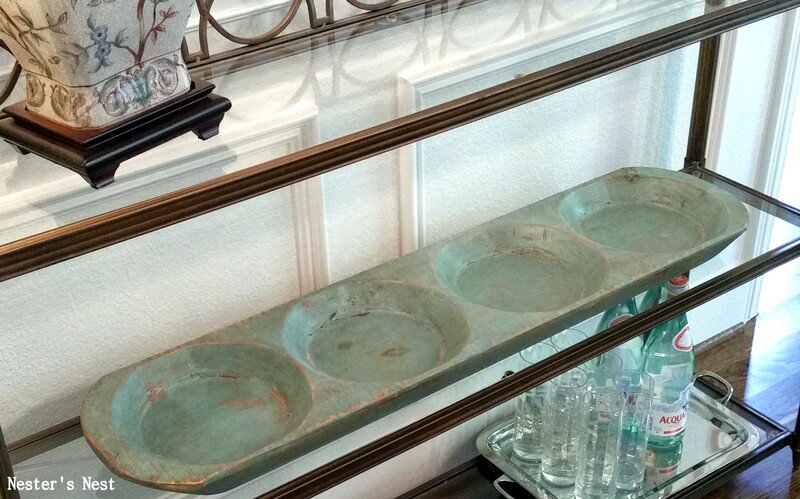 Maybe some sort of pie mould? Either way, I like it and it’s perfect for hiding lamp cords. 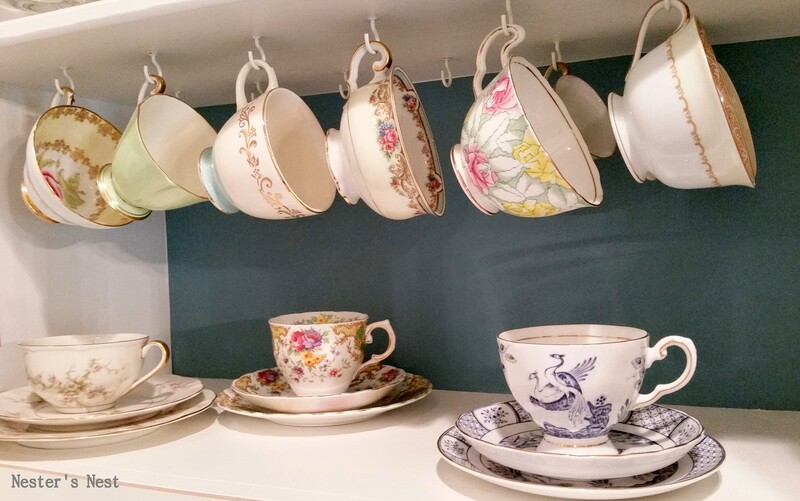 My wedding china isn’t traditional bone china, so it didn’t come with matching tea cups. Instead I got something better, a collection of vintage teacups my mother and I have found together through the years. Speaking of memories of searching for teacups, look at what my mother found for me. 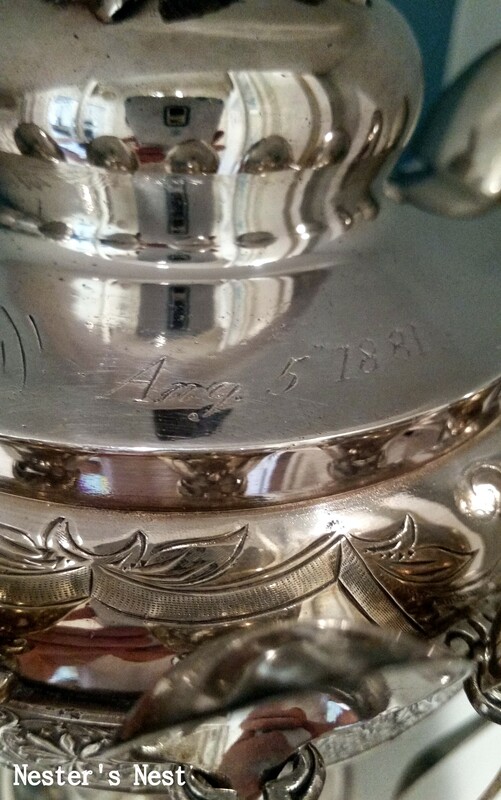 It’s a Master Sugar Bowl engraved with the date, Aug. 5, 1881. On a separate trip we found teaspoons engraved with the letter N. I don’t know if my mother knows this or not, but this may be my favorite gift from her. It is something I will forever cherish and will one day give to one of my girls. To me, Round Top isn’t about the “stuff.” It’s about making memories, embracing history and caring for items made by people before us. I’m keeping my fingers crossed that I can make it back in the Fall. Only 159 days to go. 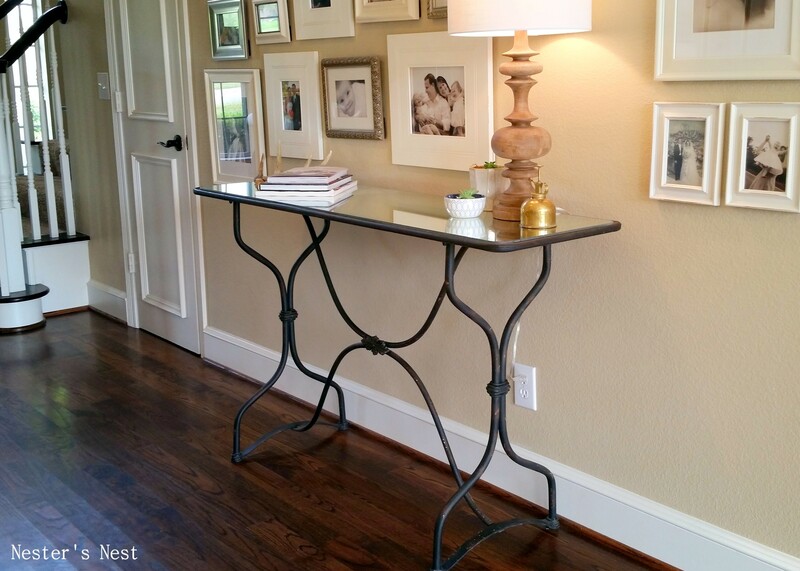 I’m obsessed with that foyer table! Thank you, Alexandra! It’s quickly become on of my favorite pieces!